Nearly 10,000 staff members are designated as their school or library E-rate coordinator. These individuals oversee the E-rate funding process, managing a multitude of procurement, contracting, service delivery and payment matters. One quarter of them also manage a third-party E-rate consultant. Despite a significant drop in the number of E-rate applicants (because of the phase-out of discounts for telephone service), and a dramatic increase in the use of third-party assistance (because of extra regulatory complexities and EPC challenges), there are still thousands of individuals responsible for E-rate applications. Many of them perform their tasks without any outside assistance. 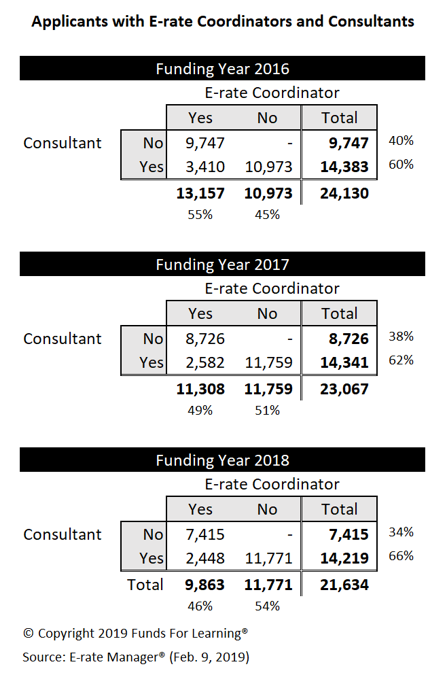 The chart and table below demonstrate the number of E-rate coordinators. 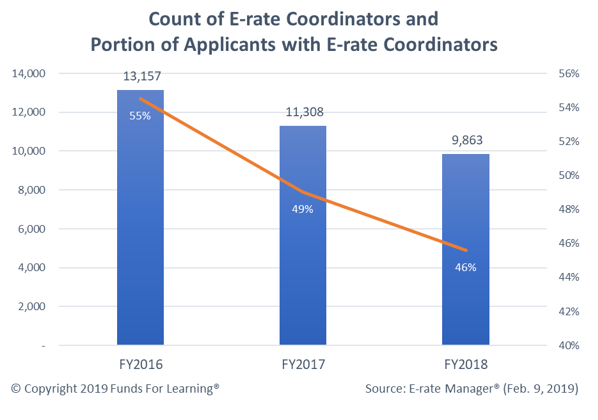 Because E-rate Coordinators play such a significant role in the E-rate funding process, Funds For Learning has launched the E-rate Coordinator Spotlight program to highlight their efforts.